Debora Tjandrakusuma obtained her higher education degrees in law from Universitas Indonesia. She has undertaken the Program for Executive Development (PED) for leadership and managerial skills development at IMD in Lausanne, Switzerland. Debora joined Nestlé Indonesia in 1986. 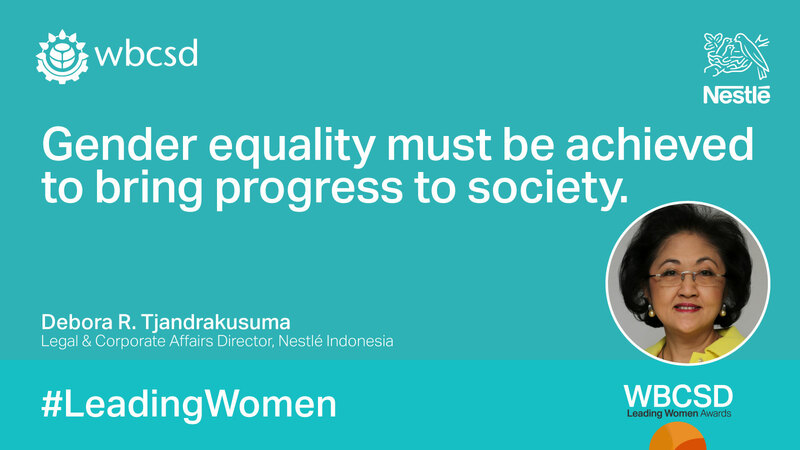 In 1996, she was promoted to Senior Vice President of Legal & Corporate Affairs of Nestlé Indonesia and led the restructuring and merger of all of Nestlé’s affiliates in Indonesia into PT Nestlé Indonesia. In 2001 she was promoted to Director, Legal and Corporate Affairs. In 2003, Debora was assigned to Nestlé’s Headquarters in Vevey, Switzerland, where she worked on Corporate Social Responsibility, human rights and issues related to commodities such as coffee, cacao and palm oil. Debora returned to Indonesia in 2006, whereupon she was appointed as PT Nestlé Indonesia’s Legal & Corporate Affairs Director. Her area of responsibilities include Legal, Government & Community Relations, Corporate Communication and Creating Shared Value programs in Indonesia.